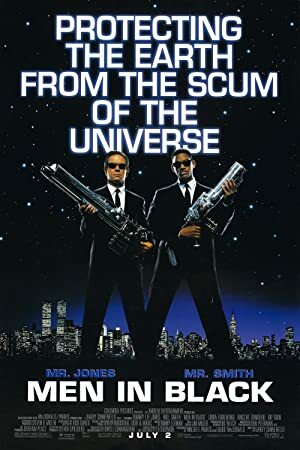 Men in Black (1997) – What's New on Netflix Canada Today! A streetwise cop is enlisted to work with a veteran government agent on a team that monitors space aliens living on Earth, unbeknownst to the public.Based off of the comic book. Unbeknownst to other people, there is a private agency code named MiB. This agency is some kind of extra terrestrial surveillance corporation. Then, one of the agency’s finest men only going by the name “K” (Tommy Lee Jones) , is recruiting for a new addition to the agency. He has chosen James Edwards (Will Smith) of the N.Y.P.D. Then, one day, a flying saucer crashes into Earth. This was an alien a part of the “Bug” race. He takes the body of a farmer (Vincent D’Onofrio) and heads to New York. He is searching for a super energy source called “The Galaxy”. Now, Agents J and K must stop the bug before it can escape with the galaxy.